In this article read the impact of demonetization of Rs. 500-1000 notes to the Indian Stock Markets. Will it help in the long term or not. This is law of nature. Peace before a storm. 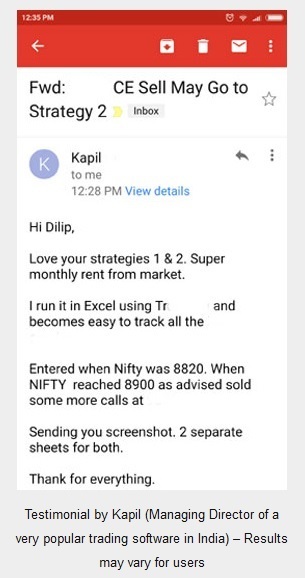 Same things happen in stock markets after 5-6 months. After volatile days in Jan-Feb, there was total peace. 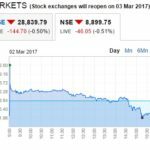 Nifty range was 8500 – 8900. Then suddenly two big news hit us in back-to-back two days. Donald Trump stunning the world not just USA and winning US Presidential elections where more than 90% per-poll surveys favored Clinton win, but Trump proved every projection pundits wrong, just like stock markets prove every market pundit and directional trader wrong. Next big news for India was making Rs. 500 and 1000 denomination notes worthless in matter of seconds. This is frankly good news for the long term for India as well as stock markets. Let’s use some common sense how this will benefit India and stock markets in long term. 1. Black money launders will now fear in future at least for next 10 years to keep money in cash in their homes. They will rather start legitimate business and give employment to people. Lots of new jobs will be created and our economy will grow. 2. Some may not be able to start a new business so they will invest extra cash in stock markets to grow their money. Stock markets will see a huge growth and investments. Do not forget investing in companies will let many other new companies come out with IPOs and again new jobs will be created. Indian economy will grow. 3. Government will get money so Government job pay-scales will rise. People in government job will invest some money in stock markets for their future. They still do but the proportion will increase. Do not forget that that their are lakhs of people having Government jobs. Stock markets will give positive returns and will keep its pace of growth because of more money coming in. 4. No new black money business will start as the new comers will fear this business. I think in the long term 90% of black business will die out and their kids will enter with that money in legitimate businesses. Indian economy will grow. 5. 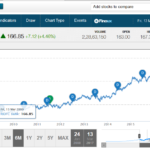 As you can see all the above 4 combined, there is a 99% chance that the black money which were in format papers till now lying somewhere in thousands or even of lakhs of lockers in homes or offices, will now start entering the stock markets therefore Indian stock markets will grow at a good rate in the long term. So please keep the above points in mind and do not panic. This storm as usual will pass away and Nifty will come back to its previous level before US elections and then stabilize. How long? I don’t know but it will surly happen soon. What happens to people who predict the markets? Basically predicting markets is nothing but a gamble. If you win you make a lot but if you lose you lose three months of profits plus some more. 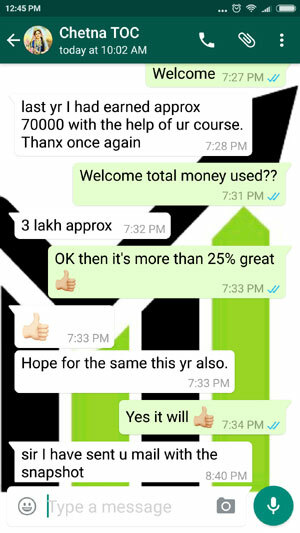 After a few months they are down by a few lakhs then email me for the course – some even cry. Frankly this is happening since last 2 years since the day I started this course in May 2014. Anyway what I am trying to say is this just do not panic and please stop predicting the markets, you make money in short term but lose money in the long term. Do not forget you invest in stock markets to secure your future not to destroy your present. Many Group A companies are at a great support level, you can keep accumulating them. Please do your own research and buy stocks of companies with great Economy MOAT. What is Economy MOAT: The term economic moat, coined and popularized by Warren Buffett, refers to a business ability to maintain competitive advantages over its competitors in order to protect its long-term profits and market share from competing firms. For more refer this article on Economy MOAT. Sell them when you make 10-15% of profits. Due to this Demonetization, do you think level of 7000 breaking on Nifty by Feb/March 2017. (Y/N)? 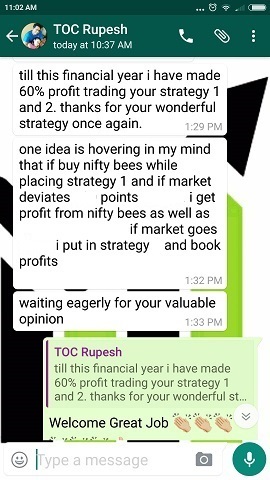 Shadab, frankly I am a non-directional trader so I do not care what happens to Nifty and where it goes. I am making profits that is more than enough for me. 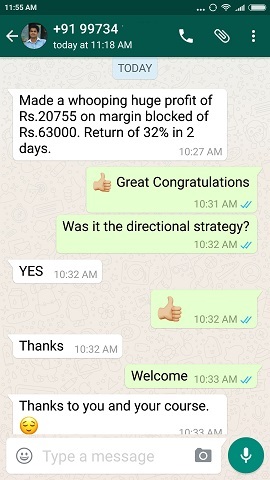 When you are making money who cares for the direction and where Nifty is headed. But frankly I do not think Demonetization is such a big thing that Nifty will break 7000, I think breaking even 7500 is looking difficult.